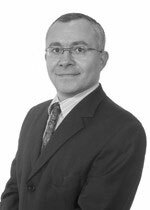 Sherif Wilson graduated in 1991 and has specialised in Plastic Surgery since 1994, completing his higher training in Exeter, Bristol and Belfast having undertaken advanced training in breast and hand surgery in Bristol and Paris. He has an extensive knowledge in cosmetic surgery in Bristol, London and Paris. He completed his training in Plastic Surgery within the UK and passed the intercollegiate exam in Plastic Surgery and gained the Certificate of Completion of Specialist Training (CCST). He was subsequently appointed as a Consultant Plastic Surgeon in Bristol. He is the Speciality Lead in breast reconstruction especially after mastectomy. He offers a variety of techniques in breast reconstruction including Free DIEP which is considered as the gold standard in breast reconstruction. His work covers a wide catchment area including Bristol, Somerset and Gloucestershire. At consultation he feels it is important to put the pros and cons of any treatment to the patient so that they can decide in their own time if treatment is the right way forward for them. Mr Wilson offers a wide range of plastic and cosmetic procedures with special interests in facial rejuvenation, breast surgery and body contouring which includes abdominoplasty and liposuction. Mr Wilson is actively involved in teaching and training, publishing several papers which have been presented both nationally and internationally on various aspects of Plastic Surgery. Mr Sherif Wilson does not hold a share or financial interest in this hospital, another Nuffield Health hospital or the company. Mr Sherif Wilson does not have a share or financial interest in equipment used at this hospital or another Nuffield Health hospital. Mr Sherif Wilson does not hold any paid advisory role(s) at this hospital or on behalf of Nuffield Health.